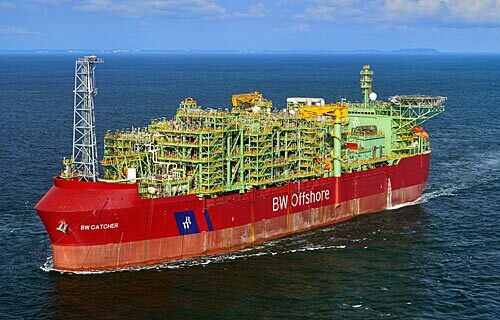 BW Offshore has announced that first oil from the Catcher FPSO was safely achieved on 23 December 2017. The initial hydrocarbon volumes were produced following a very effective hook-up and commissioning period. The FPSO arrived at the Premier Oil-operated Catcher field offshore UK on 18 October, after sail-away from the Keppel Shipyard in Singapore in late August and a brief stopover at Nigg. “The Catcher development project is nearing completion on time and well within budget. We are very pleased with the effective hook-up and commissioning, which reflects extensive preparations throughout the construction phase and a well planned offshore installation program,” says Carl K. Arnet, the CEO of BW Offshore. BW Catcher is owned and operated by BW Offshore and will commence a 7-year fixed term contract, with extension options of up to 18 years. The Catcher field partnership is made up of Premier Oil (50%), Cairn Energy (20%), MOL Group (20%) and Dyas (10%). The unit has an oil storage capacity of 650,000 barrels and a processing capacity of up to 60,000 barrels per day. The FPSO has a design life of 20 years of uninterrupted operations.